Is Yushan National Park Ready to Get Wired Up? TAIPEI, Taiwan, October 13, 2015 (TEIA) – Recently, the Yushan National Park Administration (玉山國家公園管理處) proposed three projects to improve electricity supply in Paiyun Lodge (排雲山莊), the rest point at an altitude of 3,400m, including constructing an 8.5km-long power line from Tataka Saddle (塔塔加鞍部) to the lodge for the transmission of commercial power. 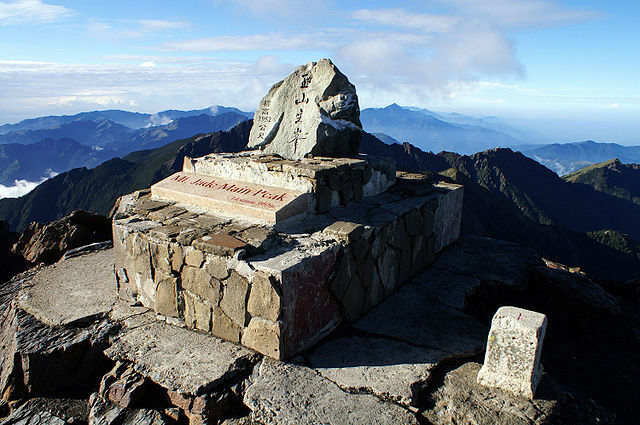 The announcement has attracted much attention from hikers and civil groups who guard against bringing modern comforts to Yushan’s formidable heights at the expense of environment. To fully explore public opinion, the Administration created an online page on the Public Policy Network Participation Platform (http://goo.gl/mT8s2a). Concerned citizens can go to the discussion site and voice their opinion before Oct. 23. 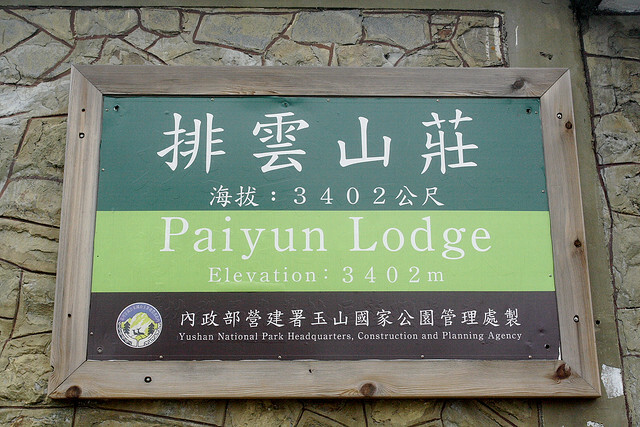 According to the Yushan National Park Administration, currently the solar system combined with a backup diesel generator may produce 39 kW of power per day at most, which is only enough for basic lighting and other service needs at the lodge. In order to meet emergency medical needs and ensure the safety and security of all hikers, the Administration claims that the minimum total demand is 146 kW, leaving an electricity supply gap of 105 kW a day. The three proposed projects include the establishment of a fixed power line and the other two being a hydroelectric system and a combined power system of solar energy and diesel generators — with none included yet in yearly budget until the year end when the technical feasibility assessment is completed. The power line project is not only the most costly of the three options (NT$90 million if installed underground in thick metal electrical conduits, or NT$60 million if transported over utility poles) but also considered by the Taipower Company (台灣電力公司) to be technically difficult to implement and even more so to maintain because high mountain terrain is hard to access and can be easily hit by typhoon, snow, or avalanche. The Forest Bureau (林務局) and civil groups including Wild at Heart (蠻野心足) also point out that the mountain areas in Taiwan are geologically and ecologically fragile. The route from Tataka to Paiyun is a typical high-mountain path with scree and unstable boulders. Any development should be kept to a minimum and, if unavoidable, should be implemented after extensive research and with minimum impact on the natural environment. Some experienced hikers also do not think there is a need to construct power lines for medical service. Emergency medical devices such as oxygen concentrators and automated external defibrillators, they say, can either be powered by rechargeable batteries or connected to diesel-fueled standby generators. Hence they call on the Administration to re-evaluate power needs based on the level and frequency in the use of medical resources. The other reasons the Yushan National Park Administration and other staunch supporters of providing reliable electricity like power cables is because Yushan Mountain is an iconic symbol of Taiwan and is a Class A (A being the easiest hike) of the 6-Class Climbing Rating System recently released by Shei-pa National Park (雪霸國家公園). They believe that abundant power supply can support extra lighting, cooking, waste management, and communications, helping create a better climbing experience for hikers of all levels, from home and abroad. However, people that reject such ideas argue that the provision of commercial electricity does not necessarily make Yushan an international hiking paradise. There are quite a few examples in Europe and New Zealand where there is no power line and mountain resorts are powered by renewable energy. The convener of Taiwan Renewable Energy Alliance (台灣再生能源推動聯盟), GAO RU-PING (高茹萍), also says, the use of solar energy in the Yushan National Park can be exemplary in environmental education, reports Awakening News Networks. To fully explore public opinion regarding this debate, the Yushan National Park Administration created an online page on the government’s Public Policy Network Participation Platform (http://goo.gl/mT8s2a), which will end on Oct. 23. People concerned about hiking, travelling, and environmental conservation in the largest tract of wilderness can go to the discussion site and share their views with policy makers.